droughts while dramatically improving the soil over time. The Valhalla Project is now well on the way to designing, implementing, and maintaining a comprehensive permaculture system. Before we get to details, let's review terms. What is permaculture and how do you learn about it? A compound word for "permanent agriculture" (a term coined by Bill Mollison and David Holmgren), permaculture is a system that takes into account as many factors as possible in order to transform land in a way that mimics nature -- that is, to develop a low-maintenance, perennial growing system for the benefit of human beings, farm animals, and wildlife as well. There is a lot more to it than that, but this gives you a general concept. It's easy to find information about permaculture: books, videos, chat rooms, and blogs from around the world address the subject, either in whole or in part. 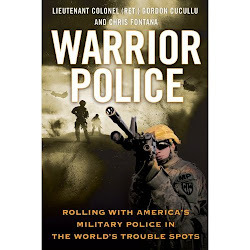 This article describes the Valhalla Project's first permaculture experiences in the Ozark region of Arkansas, through projects designed to teach and otherwise benefit post-9/11 combat Soldiers, veterans, and civilian war zone workers who also served with them downrange. a program with the world famous "rebel farmer"
was visiting the United States from Austria. 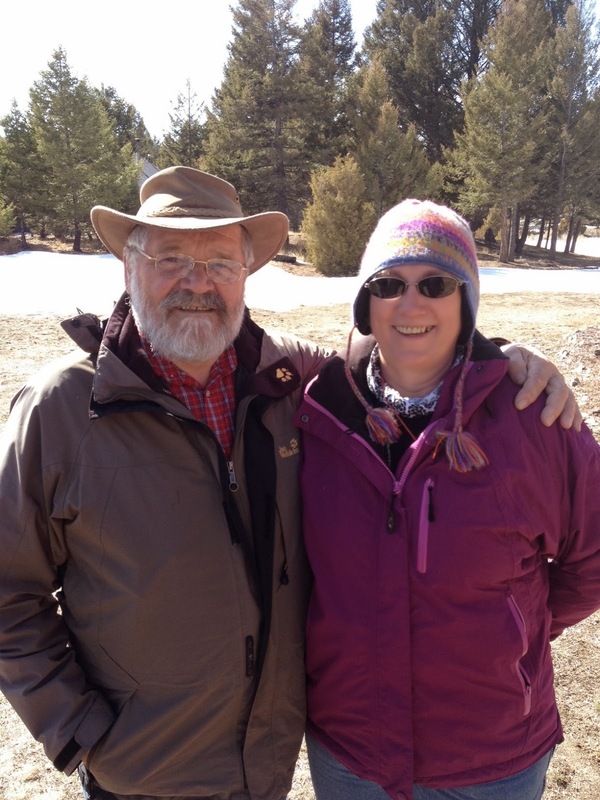 From the outset, we at the Valhalla Project were curious about elements of permaculture such as controlling water to mitigate flood or drought, rotational grazing, soil improvement, and low-maintenance plantings. Over time a collection of books and articles on the subject were collected and read, along with watching permaculture instructional videos and reviewing blogs that describe what other people have doing around the world. Small scale experiments with a few basic permaculture elements were also conducted here to compile as much useful information as possible. Then late this spring the Permaculture Research Institute in Australia, managed by Geoff Lawton, offered an on-line Permaculture Design course and we signed up for it. It was an investment to be sure, but considerably less expensive than a long plane ride to the land down under for the two week-long course held at Tagari Farm. After studying each Geoff Lawton distance learning class, pouring over the suggested supplementary reading materials, and scrutinizing related Valhalla property aspects and issues for up to six hours a day throughout the summer of 2013, Valhalla President Gordon Cucullu went on to completed the entire course and can confidently say that it was an investment that is already paying dividends. All Valhalla participants now receive at least some instruction on permaculture basics, and all are encouraged to actively participate in transforming the soil, forests, animal husbandry practices and small scale agricultural activities here for the better. One of the first rules of permaculture is observation. Having lived on this 200-acre property for over two years now, a great deal of time has been spent watching seasonal changes and logging the climatic effects. Valhalla participants who often hail from very different parts of the United States have also pointed out differences and similarities to what they have seen and experienced elsewhere, thereby providing fresh viewpoints along with sometimes unexpected revelations that have enhanced everyone's abilities to observe and thoroughly assess the land here. Cold, wet winters and hot, dry summers are to be expected in the continental climate of the Ozark mountains. In fact the previous two summers of '11 and '12 were extremely hot and endured drought like much of the Midwest. Therefore, conserving as much water as possible from the wet season to carry us through the dry period was a high priority. View of Valhalla's upper pasture up by the boundary fence line. around Valhalla drain into and across this same pasture. Valhalla's upper pasture area has high clay content and thin topsoil, has been cut for hay and grazed and has had very little done to it for the past few decades. As a result, any episodes of heavy rain results in most of the water hitting the heavily compacted surface before running off into nearby creeks - and further eroding the thin layer of topsoil as it goes. 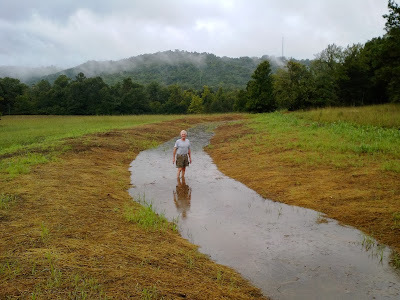 The issue isn't about Valhalla not getting enough rain - this region averages 40-44 inches of precipitation annually - but about rain not being able to stay on the land long enough to do what nature intended water to do. With seasonal cycles as they are, a classic feast or famine situation results. One of the first steps that needed to be taken here was to construct permaculture elements that would capture, hold, and slow-soak that incoming water across the landscape. As part of the observation exercises, an extensive local area map reconnaissance was conducted and it then became plain that Valhalla's largest pasture receives runoff from approximately two hundred fifty to three hundred acres from properties above and around us. That's a lot of water flowing unimpeded and explains much of the chronic erosion on this property. It was also noticed from on-the-ground observations that a low feature was not depicted on the contour maps: downhill from the Valhalla northern property line and adjacent to a large unnamed pond that was enlarged in the upper pasture last winter is a distinct low area, almost a mini-basin that was usually moist and spongy after a large rain event. The challenge with this previously undocumented information: how to take best advantage of this feature. Did digging start at this point? No, because in the Permaculture Design Course, one of the cautionary points that Geoff emphasized was to make a comprehensive design first, test it out on paper supported by observation, and only then begin systematic implementation of the designs. Given that Valhalla is a somewhat large tract of land, while this is our first ride at the permaculture rodeo, it was decided that a smaller area should be worked on initially. 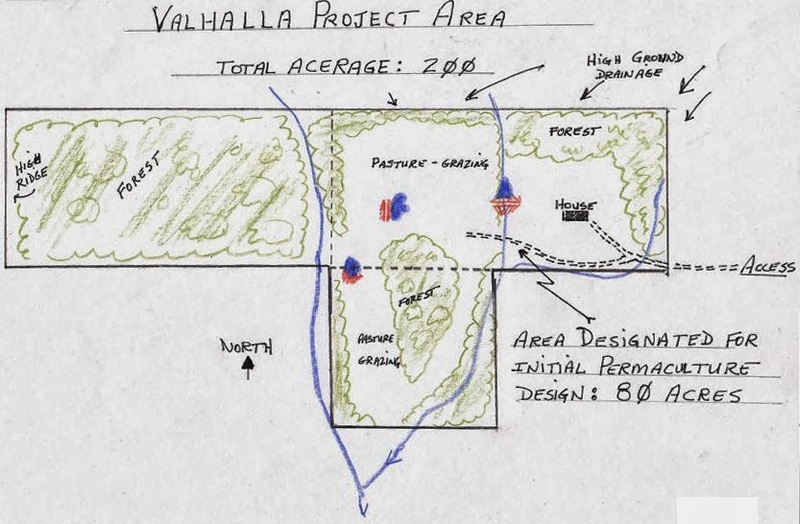 The most heavily used 80 acres of the 200 acres was thus selected for Valhalla's initial design. 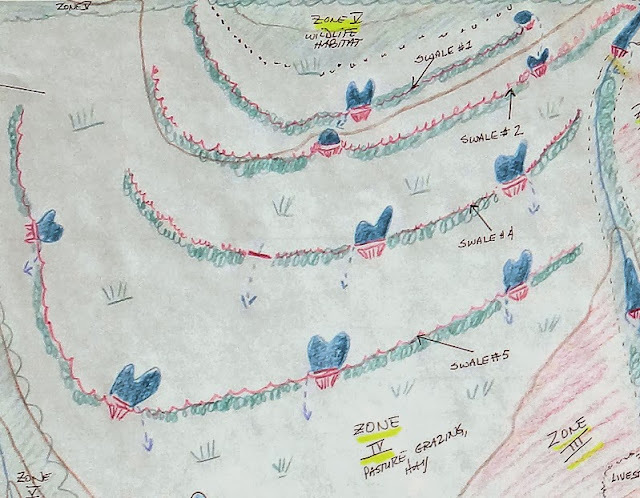 80 acres in the east and center upper sections of this hand-drawn map. land contours, and many other features of the land and its location into consideration. 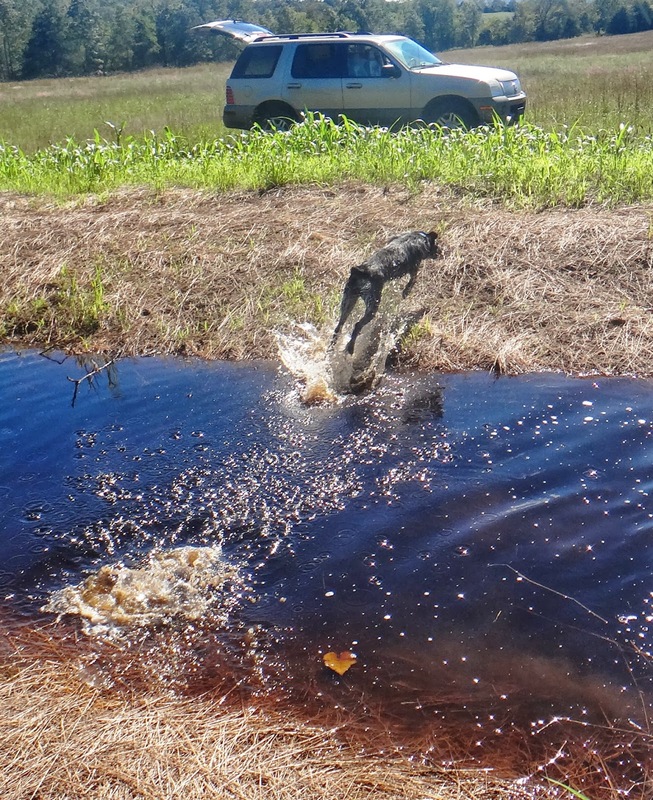 erosion, enhance the growth of vegetation as well as wildlife food plots, and assist in the building of high-quality nutrient-rich soil before the water exits from the property to the much larger watershed. Valhalla's most talented earthmover, Jim Brown, was intermittently available at different times during the summer. 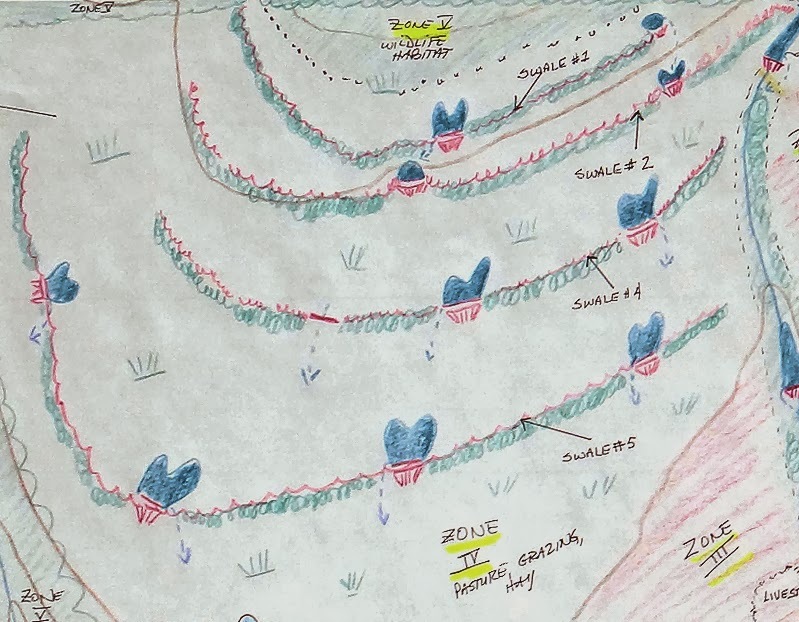 After various discussions, two initial permaculture trial projects were decided upon: construction of the first long swale (Swale 1 on the sketch map) and placing a dam across the creek nearest the Valhalla Main House. 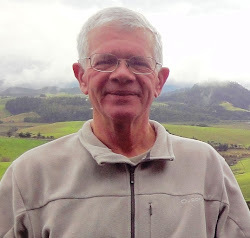 The latter was Jim's suggestion: "The dam itself will be able to regulate the water flow down the creek during heavy rain events and at least start reducing the dangers of uncontrolled flash flooding downstream," he said. 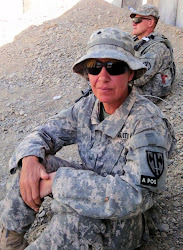 "And, this will be a great recreation spot for Soldiers at Valhalla. They can swim, cook out, and camp by what will be a very attractive pond and small waterfall." A rock-solid principle of permaculture is to capture water as high up on the property as possible to allow it to slow-soak down through the land. It made good sense, therefore, to locate the first catchment swale close to the property line following contour. Notice the stakes marking around the natural contour of the land. and moving the topsoil into place. Using Jim's laser transit, a line of stakes was laid out along the first major contour approximately 100-200 feet south of the fence line. 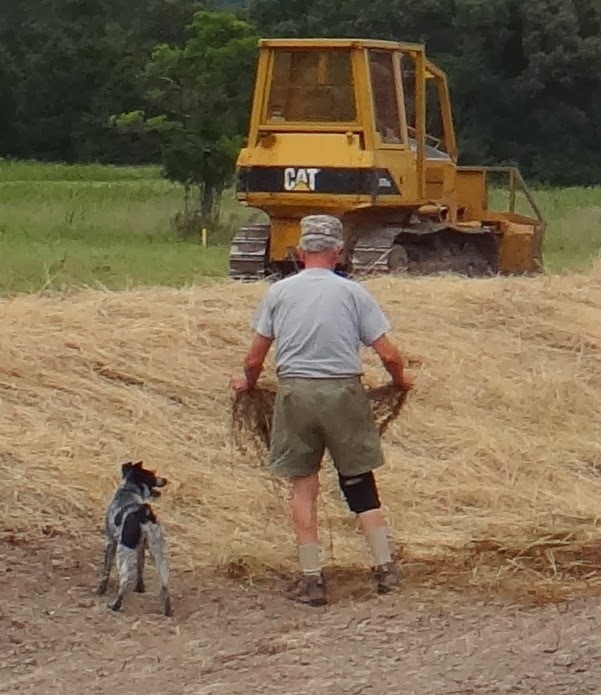 Jim used his bulldozer to scrape away the topsoil along the trace of the swale so it could be moved. He then carefully shaped the swale, digging down approximately two feet and piling the excavated soil on the downhill side of the swale. He made sure that the uphill side of the swale was gently sloped so that water will drain into the swale but not erode it. Jim Brown shaping the swale and moving topsoil to form a berm. The soil is piled up on the downhill side but not compacted. When finished this resulted in a roughly four foot difference between the top of the berm and the bottom of the swale. Jim shaped the berm and was careful not to compact the dirt. You want this soil to be somewhat loose and porous to allow water to soak through. It is important to regularly stop to check, check, and double-check the results at each step of the earthmoving process. The results of permaculture projects like this one will be evident for many decades to come. Taking the time to stop and check the work so far. which will be absolutely perfect for mulching later. This means regularly taking the time while the work is still in process to pause and further envision not just where to grow various grasses, bushes, and trees, but also how such plants may cast shadows on or otherwise affect neighboring vegetation. Temporarily stop digging to seek out any damp spots that may indicate the presence of hidden natural springs that may be underground somewhere, and that may alter planting choices in a specific location. And look for any previously unnoticed wildlife habitat and how these areas may be expanded while still constructing the swale or other desired permaculture features. for both non-game and game species alike. Leaving the area between the swale and the fence line for a wildlife laneway and food area, as well as a windbreak, made sense. And lo and behold, dozens of butterflies were found already swarming and feeding some bushes right there. 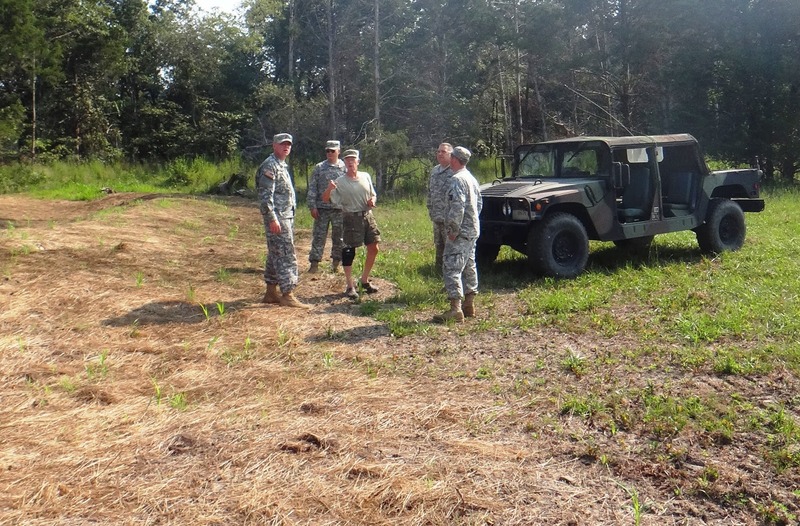 Previously the Valhalla Project had consulted with a Arkansas Game and Fish wildlife biologist, Trevor, who suggested that habitat for bobwhite quail and non-game species can be promoted in this zone. In addition to existing native plant species, this same zone will also be seeded in the spring with native grasses and forbs. uncontrolled erosion during particularly wet weather. Jim then built two key features into the swale. A long level spillway - about two feet high in a carefully selected break in the berm -will allow excess water to sheet-flow downhill in a large rain event. An adjoining catchment pond right next to the spillway will gather and hold large amounts of water as needed. This swale catchment pond is not intended to be more than a vernal pond, filling and emptying as the rainfall varies, so it was not compacted. Once the topsoil was replaced and smoothed out over the new swale, the heavy construction phase was completed. sorghum Sudangrass, German millet, and clover. The berm, swale, and uphill portion were then overseeded with fast-growing summer annual grasses and clover. A mixture of sorghum Sudangrass and German millet along with some red clover were heavily scattered by hand across all of the exposed dirt and soil. These varieties were picked because they are warm-season grasses, drought resistant, fast growing, and will reseed annually. The goal was to get something growing rapidly on the bare ground, start root systems opening up the heavy clay soil, and stabilizing the newly built swale. to scatter mulch. A big help! 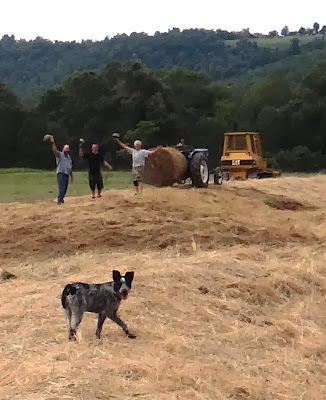 Immediately following seeding, a light mulch of spoiled hay (Valhalla's neighbors, Doug and Dorothy, donated some two year old round bales to the project) was spread across all the newly seeded ground. Valhalla’s own resident Aussie shepherd/border collie mix - Valkyri - then joined the mulching party for additional spreading and supervisory purposes. Then everybody involved in the project waited. And waited and waited for even a little bit of rain. Within two weeks much of the millet had begun to germinate and sprout, despite no rainfall. We figured that enough moisture was present in the soil to jump-start the millet. After a pleasant 1.68 inch rainfall a few weeks later, the millet began to be overtaken by the Sudan grass. Everyone was startled over how much water collected in the swale following even this relatively small rain. held in the bottom of the new swale. A wonderful success! More than a week later it was a pleasant surprise to see that a considerable amount of water still remained in the swale, even though much had already soaked through the swale as planned. This is water would have rapidly flowed straight across the compacted pasture, further eroding the soil as it went, before entering the drainage system. But the new swale serves as a sponge, slowly releasing water. Eventually the water will still get back into the watershed, but it will take a long time to cross the field -- thus adding life-giving water to the soil and vegetation. transitioning back into the civilian world. A secondary purpose for the swale is to implement construction of what Geoff Lawton calls a "food forest." This is a highly diverse combination of plantings of fruit and nut trees, nut and berry bushes, and herbal understory designed to mimic a natural forest and capture as much solar energy as possible through layered photosynthesis and pass that into food and forage for humans and animals. Valhalla's first scheduled planting will be in late fall when bare-root trees and bushes can be successfully introduced so that they will establish themselves before spring flourish. The focus is on native fruit and nut trees that are selected for hardiness, insect resistance, and production value. The intent is to have apples, peaches, pears, and other stone fruit trees along with chestnut, pecan, and Korean pine. Shrubs will include various berries and hazelnuts. Lower story plantings will include comfrey, spreading plants, and some insect-repellant flowers like daffodils, iris, and marigold. These plantings will be heavily mulched and, over time, will promote a fungal understory of edible mushroom species that may be harvested as well. Once mature and producing this area will be available in late fall for gleaning by livestock to clean up and disturb the understory and promote future growth. In time this will be a self-sustaining, perennial production area that will add considerably to the food needs of Valhalla Project participants. By emphasizing diversity of plantings we will be back-stopped so that if a particular crop does poorly in a given year, others may flourish, but something will always be available for people and livestock. be seen swimming and leaping in and out of the water. wildflowers and grasses, and aquatic plants. donating to Valhalla's permaculture fund! The final steps in this first permaculture swale project are going to be costly: trees, plants, and fencing all require money, and the Valhalla Project's soldiers and veterans depend on your contributions to make this goal a reality. You can help to finish Valhalla's first swale by making a tax deductible donation to the Valhalla Project via PayPal and then typing "For permaculture projects" in the special instructions field when prompted. Having your own PayPal account is not necessary: you can use your personal debit or credit card. Thank you in advance, and updates will be posted to this website in the future!